Harry Patch was a genuinely Great Biton. Today is of course Armistice Day, Remembrance Sunday and the centenary af the end of World War One – the Great War. Never was a conflict so inappropriately named. All over the country and further afield, men, women and children have paraded, or stood in silence and reflected on those brave and heroic souls who gave everything for their country – not just in the Great War, but all the conflicts we’ve been involved with before and after. Please also remember the unsung heroes of the Commonwealth Forces and ANZACs – people who pushed into the very worst battles and fought with huge pride and courage. Redgum’s remarkable ‘I was only nineteen’ was about Vietnam, a war in Which Australia were sadly involved, but the song is timeless. The story of an ANZAC who was actually from Norton Canes can be read here. Specifically, of course, we remember those who paid the most extreme price one can ever pay in service of one’s country, but also those wounded, mentally and physically, and for those who continue to fight so we might live another day. Please take time out today to consider those that gave, and those who may yet give their lives for us to live in peace and relative prosperity. From the fields of Flandria to the jungles of Burma, from the deserts of Iraq to the frozen waters of the South Atlantic, when their time has come, good and noble people have given their all that we may enjoy better days. This year has seen a remarkable display of poppies in towns and villages across the country – the astounding and stunning Poppy Road in Station Road Aldridge is extraordinary; the Pelsall Poppy Clock is gorgeous poignant as are memorials in places as diverse as Stonnall and Hednesford. I salute and thank everyone involved. Wilfred Owen rang the bell loud and clear: The Great War was an inhuman hell and a generation was sacrificed. Thanks to him, we can feel what those lads experienced. For some fascinating and poignant Great War local history, do pay my dear and friend Linda Mason’s blog a visit by clicking here. Over recent days Linda has written a series of beautifully researched and worded posts about local soldiers that are by turns fascinating, moving and heartbreaking.This brilliant lady is a local history dynamo and deserves a much wider audience. I will, as always, continue to document local war history here too – just last week we found documented evidence of a huge local World War Two air raid shelter which is a story still developing. Poppy Road in Aldridge is absolutely breathtaking. It is right and wonderful that we remember these men and women and honour their sacrifice. They fought for this day – a better day. Thanks to them all. Today I have stood and remembered. I have felt the pain of loss, separation and of the sacrifice of others. The veterans I have known – many passed now – haunt my memories and thoughts. I will never, ever forget them or what they went through. On their shoulders we all stand. Remembrance is not about glory, it’s not about posturing and it’s not about patriotism. The hell that poets like Wilfred Owen and Siegfried Sassoon experienced and spoke so eloquently about was not about any of these things. It was about the sheer, unrelenting dehumanisation of armed conflict. Again this year I have seen the poppy used as a tool of prejudice and superficial posturing on social media, particularly Facebook. It’s not about wearing a symbol, or pointlessly making it your profile picture, it’s not about exclusion, aggression, hatred and being seen to do the right thing. It’s about respect and memory. Time and time again our armed forces have taken up arms in order to overcome the dark forces that would silence those who oppose them, who would exterminate opponents and those who would stand up for democracy. From Arnhem to Kandahar, from Kapyong to the Kosovo our forces have fought to restore freedom and democracy. To apparently now live in a country where people who question societal norms like Remembrance – as is the British way – receive death threats for non-compliance terrifies me and shames us all. This year I felt the shallowness of social media particularly keenly on the issue of Remembrance. I’ve witnessed people berating others for not showing the considered appropriate grief, or displaying the correct symbolism. This is awful, and I hate to see something that’s about continued freedom be abused and manipulated in this way. The young men who gave their all on the battlefields that have ebbed and flowed over the globe over the last century did so to keep us free. In order that we may live without oppression. Their fight was for people to have the freedom to choose, and that includes not joining in acts of overt Remembrance if they choose not to do so. I also feel that this Remembrance is about not just the dead, the fallen and the human cost; it’s about the gross human folly that is conflict and war. That we still expect young people to give their all after thousands of years of societal evolution is a shame on our civilisation. As Tony Benn once put it ‘…all war can be regarded as a failure of diplomacy’. 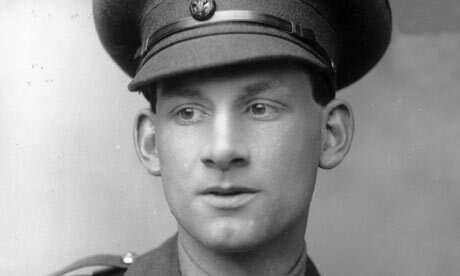 Poets like Siegfried Sassoon communicated to us the hell they experienced. I do, of course, wholly support the Poppy Appeal, appeals by the Royal British Legion, and Help For Heroes. I am, however concerned that particularly in the latter case, the generosity of the public is being used by the faceless mandarins in government to relieve the burden on state funds. I am unsettled by the business operations and big money directorships in some of the more prominent armed forces charities. Those injured and bereaved in defence of the state should be compensated and protected by it. It’s the least we can do. While there’s a place for charity, this shouldn’t be a substitute for care of our veterans – of whom a disconcerting number go on to fight the effects long after their service has passed. The Pelsall Poppy Clock is again thought provoking and devotional. It is very sad and a national tragedy that ex-servicemen and women are disproportionately represented in the numbers of the homeless and mentally ill. Please, if you can, give to one of the many armed forces support charities, a huge list of which can be found here. This year, I’ve personally bought a poppy as usual, but also supported Soldiers off the Street, who seem to be doing particularly vital work. A century from the end of a massacre of youth that was settled around a table, it’s important to me that we should remember that it’s the ordinary people who bear the brunt of war; the leaders who declare it are rarely victims. The human cost of armed conflict is massive. We should endeavour, after Remembrance and thanks, to show our huge debt of gratitude by attempting to prevent war occurring. It is to humanity’s shame that we appear to have no leaders of the calibre required to do so. This entry was posted in Brownhills stuff, Events, Followups, It makes me mad!, Local History, Local media, News, Shared media, Shared memories, Social Media, Spotted whilst browsing the web, Walsall community, Walsall Wood stuff and tagged Bill Caddick, Brownhills local history, Jack Judge, June Tabor, Local History, Remembrance, Royal British Legion, Sunday, Tipperary. Bookmark the permalink. Brownhills Remembrance had a wonderful turn out this Morning,people of all ages stood for the two minute silence,Brownhills certainly remember those who gave their lives. Thanks you Martin for all the work you guys do. I love seeing these poppies, they’re absolutely delightful!